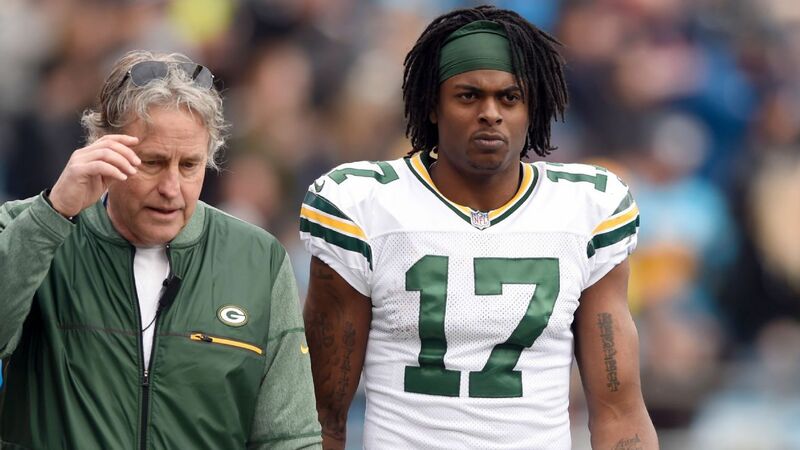 As the 2015 season was coming to a close, the criticisms of Davante Adams performances had reached fever pitch, but in a space of 24 months, Adams has shown tremendous resilience to battle himself into a position where he has become the undisputed No 1 receiver for his team. Davante Adams is an American football wide receiver who plays in the NFL for the Green Bay Packers. Earlier on in life, Adams was involved in basketball and was rated as a two-star recruit before he decided to make the switch between sports and become a football player. We discuss his biography, the woman in his life, how far their relationship has come and other salient facts about the athlete. Born on December 24, 1992, in Redwood City, California to parents Pamela Brown and Douglas Adams. Adams has two sisters and a brother. His full birth name is Davante Lavell Adams. East Alto was home for Davante from where he attended Palo Alto High School. He played for the Vikings (which was the school’s football team ) and eventually led them to a CIF state championship recording some impressive stats – 64 receptions for 1,094 yards and 12 touchdowns and also 44 tackles with two for a loss, two forced fumbles, an interception and four passes defended. When it was time for college, the options placed before him were the San Diego State, California, and Hawai’i. Adams eventually settled for California State University where he played for the Fresno State Bulldogs football team between 2011 and 2013. He did not make his debut in collegiate football until 2012 in a win over Weber State on September 1, 2012. He recorded 118 receiving yards with two touchdowns on his debut. When he played against San Diego State on September 29, a team he could have been a part of, he recorded 8 receptions for 102 yards in a home win. By the end of the 2012 season, Adams had recorded 102 receptions for 1,312 yards and 14 touchdowns in total. He was also named the MVP for the 2012 Hawai’i Bowl. By the 2013 season, Adams began by recording 14 receptions for 148 yards and two touchdowns in a win over Rutgers. When he came up against San Diego again, he recorded 12 receptions for 87 yards and two touchdowns. In what proved to be his final collegiate game in the 2013 Las Vegas Bowl against Southern California, Adams recorded a touchdown, nine receptions for 74 yards. By the end of the 2013 season, Davante Adams had recorded a total of 131 receptions for 1,719 yards and 24 touchdowns which was a national high. His 24 touchdown receptions was a Mountain West Conference record, surpassing the closest by eight. He went on to announce his decision to forgo his final two years of college football and join the 2014 NFL Draft on December 27, 2013. Selected the 53rd overall pick by the Green Bay Packers, he signed a contract on June 12, 2014. His debut came against Seattle Seahawks in 2015 but he would score his first NFL touchdown in a 42-10 victory over the Minnesota Vikings. In a loss to the Detroit Lions, he had a season-high 10 receptions for 79 yards. He was the Packers second-leading receiver with 997 yards on 75 catches scoring 12 touchdowns. He also scored a touchdown in the championship loss to the Atlanta Falcons. During the 2017 season, Adams suffered a few disruptions during the season due to health matters. Adams has a partner – Devanne Villarreal whom he met while the pair were attending California State University, Fresno. They had stayed together since meeting up and then Adams decided the time was right to turn the notch up in 2017. The Green Bay Packers wide receiver had told his girlfriend to come with him to the Bahamas for a photo shoot. Who won’t want that? In that sense, however, Devanne was disappointed as there was no photo shoot but was compensated sufficiently when Adams dropped on one knee and popped the question. Adams was rewarded with an emphatic ‘YES’, and the couple shared their happiness with posts on Instagram. Davante Adams has the ideal physique for competitive sports. He stands at a height of 6 feet 2 inches. He has dark brown eyes, black hair, a great smile and weighs in at 98 kg. Other details of his body measurements are not available.